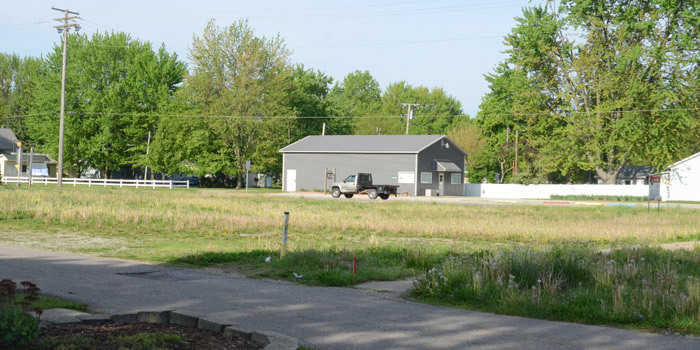 This vacant lot at the southeast corner of Higbee (SR 15) and Emeline Street, Milford, will the be site of a new Lake City Bank branch office replacing its current office at Higbee and Syracuse streets. MILFORD — Lake City Bank announces it will build a new branch office in Milford to replace its current office. The new branch is set to open mid-year 2019. The 2,000 square-foot office will be located on the southeast corner of South Higbee (SR 15) and West Emeline streets in Milford. Lake City Bank entered the Milford market in 1984 with its current office at Higbee and Syracuse streets. “We’re committed to our Indiana communities, large and small, and are pleased to continue to provide local banking services to our friends and clients in Milford,” said Kevin L. Deardorff, executive vice president, retail banking. The new office will provide technology-driven banking solutions for business and retail clients, as well as direct access to specialists in commercial banking, wealth advisory services, treasury management services, retirement services and merchant card services. Lake City Bank, a $4.7 billion bank headquartered in Warsaw, is the fourth largest bank headquartered in the state, and the largest bank 100 percent invested in Indiana. Lake City Bank operates 49 branch offices in northern and central Indiana, delivering technology-driven solutions in a client-centric way to individuals and businesses. The bank is the single bank subsidiary of Lakeland Financial Corporation. For more information visit lakecitybank.com.